Although Breckenridge is home to one of the world’s greatest ski resorts, and skiing and snowboarding are most people’s go-to winter activities when they’re here, they are certainly not the only options. In our last blog post, we talked about the perfect winter day in Breckenridge. Now, here are some of the area’s other unforgettable offerings, including a few you probably hadn’t thought of. 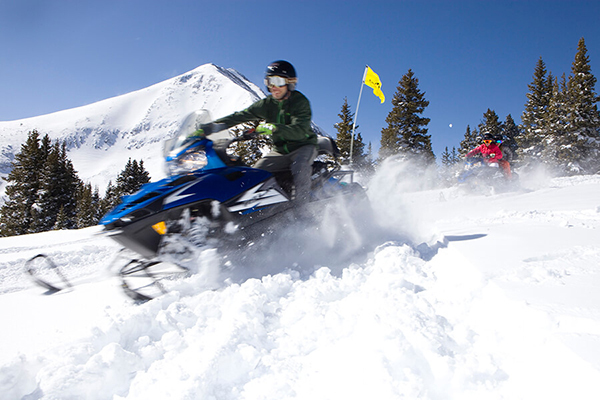 If you’re seeking an adrenaline rush of a motor-charged variety or simply want to give your legs a break for the day, snowmobiling is a blast. Guided tours take you through ghost towns and mining ruins, through powdery meadows and to sweeping views of the ski area and beyond. Watching those fluffy heads bob ahead of you while gliding through a valley of pine trees is a wholly unique brand of high. You even get to take the driver’s seat to steer the team of Siberian huskies during the six-mile jaunt. Even on the coldest days, there is no better full-body workout than whisping through the woods on skinny skis. Classic cross-country in particular is simple and a great way for outdoor lovers of all ages to earn their glides. 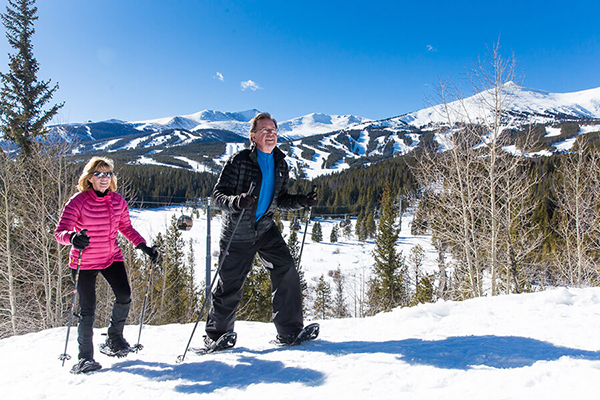 The Breckenridge Nordic Center, nestled between Peaks 6 and 7, offers 1400 acres of trails as well as skate and classic lessons. If you’ve wondered what those bikes with super fat tires are good for, you’ll find out the minute that black rubber magically suctions to a snowy singletrack. Snow biking has unofficially become the favorite winter sport among dirt-loving locals. Rent a fatty and revel in the way it rolls right over the snow and ice. No special training is needed to slap these contraptions to your feet and beginning exploring. You’ll feel like you’ve been ensconced in a snow globe as you clop among aspens and pines to parts of the mountains that can’t reach by any other means. There’s even an option to trek through the snowy wilderness under the full moon. Curious what it was like to live like a gold miner 100 years ago? Or like the 10th Mountain Division training for alpine combat in World War II? Ideal for those who enjoy finding fresh backcountry lines and backpackers who classify camping as luxurious when its indoors with heat generated by a wood stove and water from melting snow. There are 34 backcountry huts surrounding Breck, best booked early as a ton of people live for this adventure every winter. Another way to go back 100 years and glimpse Breck’s booming days of gold, silver discovery. The history is fascinating, especially for kids who get to see the gold panning operation up close and venture deep into cavernous shafts at Country Boy Mine. Harkening back to old-fashion winter fun, if you can find an apparatus that slides downhill, you can spend hours giggling down the slope at Carter Park. Families can be found marching up and spinning down the short sledding hill all winter from dawn til dusk. Not many people know that Breckenridge is home to an amazingly vibrant and prolific arts program. Breck Create offers classes and workshops all winter, ranging from painting and paper collage classes for children to ballet technique for all ages, photography, pottery, songwriting, line dancing, scarf-dying and any other creative pursuit you could possibly imagine. A variety of yoga, barre and BodyPump classes, not to mention a world-class tennis bubble, climbing wall and swimming pools complete with slide and lazy river can be found at the Breckenridge Recreation Center. It’s winter. Workouts don’t have to be outdoors. 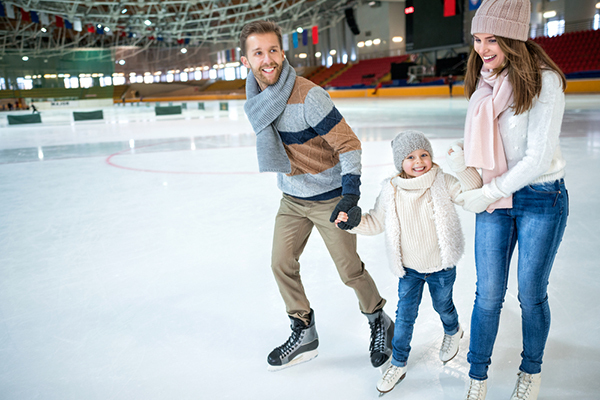 Tucked into the south side of town, Stephen C. West Ice Arena is the place to hear whooping and hollering when you’re not on the mountain. Indoor and outdoor ice skating opportunities abound as well as drop-in hockey games and even curling. Yes … curling. Another way to enjoy some indoor down time in Breckenridge is to stay at one of our vacation rentals that offers access to foosball, pool and more. Stay at this Sawmill Creek condo located in the heart of Breckenridge that has stunning views of the mountain and a billiards table. Or take advantage of the huge game room at The Corral - unlimited access to this room, that includes a pool table, air hockey, and a ping pong table, is available to all our guests staying at any of our 2 or 3 bedroom Corral condos. And finally, if you have a large family or friends trip in the works, book The Lodge At Trapper's Glen, a stunning, luxury Breckenridge vacation rental equipped with an entertainment bar, foosball table, and theater room.